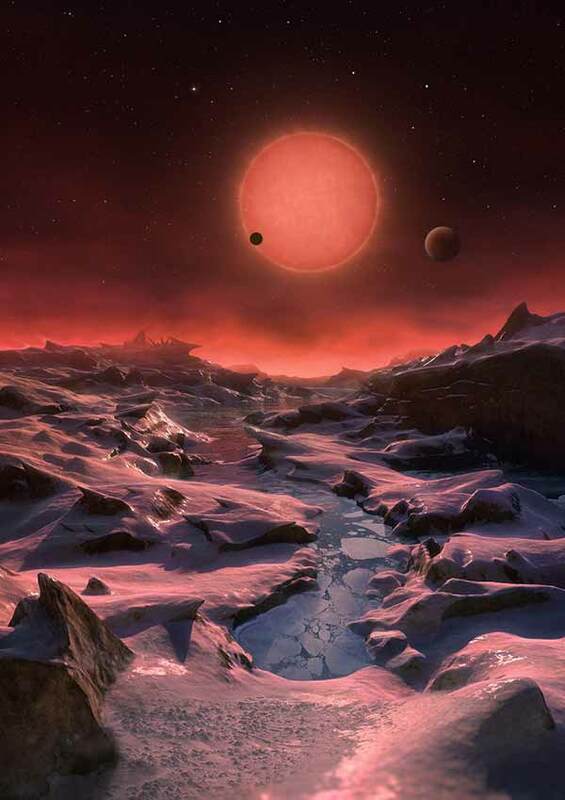 An international team of astronomers, including UC San Diego astrophysicists, has discovered three Earth-sized planets orbiting near the “habitable zone” of an ultracool dwarf star, the first planets ever discovered around such a tiny and dim star. The discovery is detailed in a paper published this week in the journal Nature. The planets are so close to Earth—only 40 light years away—that astronomers should eventually be able to study in greater detail the composition of each of the planets and their atmospheres as well as look for chemical signals of life. “The kind of planets we’ve found are very exciting from the perspective of searching for life in the universe beyond Earth,” said Adam Burgasser, a professor of physics at UC San Diego’s Center for Astrophysics and Space Sciences and a key participant of the international team. 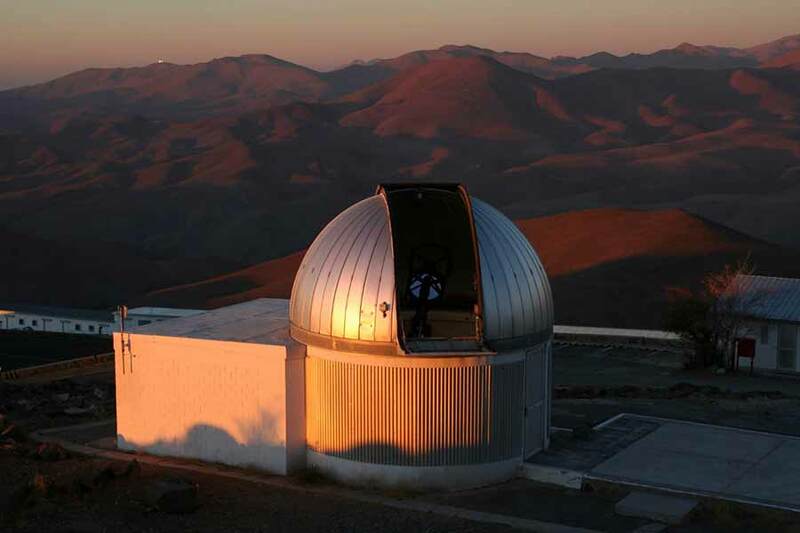 Using a telescope called TRAPPIST (TRAnsiting Planets and PlanetesImals Small Telescope) at the La Silla Observatory is Chile, the astronomers traced the star’s light moment-to-moment over the course of 62 nights last September through December. When the international team, led by Michaël Gillon of the University of Liège, Belgium, analyzed changes in brightness of the starlight, they saw periodic dips as three planets traverse its face casting shadows. Follow-up observations with larger telescopes indicated that the planets have sizes very similar to that of Earth. Two of the planets have orbital periods of about 1.5 days and 2.4 days respectively, and the third planet has a less well determined period in the range 4.5 to 73 days. The team determined that the three planets are roughly Earth-sized and may be rocky, although additional measurements of their masses will be needed to determine their compositions. More importantly, although they orbit very close to their host dwarf star, the inner two planets only receive four times and twice, respectively, the amount of radiation received by the Earth, because their star is much fainter than the Sun. That puts them just inside the habitable zone for this system, an orbital ring of distances at which surface water is likely to be liquid and life as we know it most likely. It is still possible that they possess habitable regions on their surfaces, although complexities such as their clouds, and atmospheres—if they have atmospheres—make it hard to predict whether surface conditions are really suitable for life. The third, outer, planet’s orbit is not yet well known, but it probably receives less radiation than the Earth does, but maybe still enough to lie within the habitable zone. The astronomers said the two planets closest to the star are likely to be tidally locked, with one face always toward the star and the other always dark. That could limit circulation of water and atmosphere, which might become trapped on the cold, dark side, although the astronomers speculate that life could exist in the perpetual dawn at the day side’s western edge. On the other hand, tidal forces could keep the planet surface warm even on the dark side, but it could also drive vigorous geothermal activity that make the surfaces unstable. The star the planets orbit— called “TRAPPIST-1”—is cool, red, dim and so small it is invisible to most telescopes. Just a little larger than Jupiter in diameter, TRAPPIST-1 is about half the temperature of the Sun, a tenth of the size and almost 2,000 times fainter. Most of what astronomers know about it comes from observations in the infrared, the same kind of invisible light that remote controllers emit. “We expect intense scrutiny of this system by our colleagues, given its remarkable properties,” said Burgasser. Besides Gillon and Burgasser, the international team involved other astronomers at UC San Diego and the University of Liège as well as researchers at MIT; NASA’s Johnson Space Center in Houston; Cavendish Laboratory in Cambridge, England; and the Indian Institute of Astrophysics in Bangalore, India.